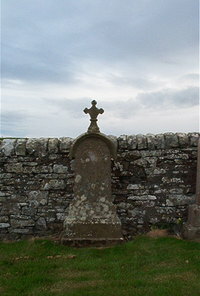 Erected by Henry Waters in memory of his beloved wife. Ann Grant died 1st January 1891 aged 49. Husband Henry Waters died 9th June 1894 aged 61.